While flying Delta last month, the inflight magazine Delta Sky profiled lifestyle company Beekman 1802. Years prior to starting the company with his partner, one of the two co-owners, Brent Ridge, was a doctor who was working at Mount Sinai School of Medicine. While Martha Stewart was in prison, Ridge wrote her a letter asking her to donate money to his employer, Mount Sinai. She did. The resulting gift of $5 million led to the establishment of the Martha Stewart Center for Living at Mount Sinai. I like to think I’m creative, but I would not have thought to reach out to someone in prison. Had the thought even crossed my mind, I might have dismissed it, believing it to be .. tacky. Stewart wasn’t serving a life sentence; her time in prison was relatively short. 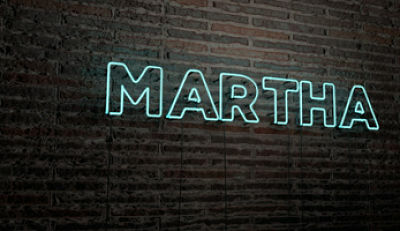 Upon release, she would return to work because one does not keep Martha Stewart down. And though Stewart had been charitable to causes long before her sentence, she might feel the need to rebuild her image upon release. A donation to Mount Sinai could help with that. Furthermore, the usually busy Stewart may have had more time to consider donation requests, given her restricted travel in a penitentiary. 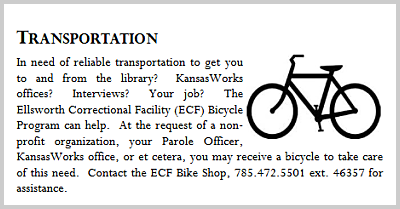 Bikes made in this Kansas prison are available to nonprofits, according to this excerpt in a 2012 brochure on Offender Workforce Development. Did she receive any other requests for contributions during her sentence? Who else is serving time that might be a target for a well-articulated donation request? And — similarly — are prisons a possible lead for auction donations? The last point led me to a little research. According to the publication, the bikes are distributed through nonprofits. I don’t know the rules around the donations, but I do know that bikes are decent sellers in benefit auctions. Food for thought. But I’ll let you figure out the details.